Bethany Woodward is a silver medalist in the 200 Meters (T37) sprint at the 2012 London Paralympics. She continued her career as a para-athlete, but has become disillusioned about the state of para-athletic competition. The Ringwood, England native made news recently for returning a silver medal won in a competition several years ago, not because she cheated, but because a person on her relay team was not disabled enough. The reporter explained that Woodward is classified as a T-37 sprinter. “T” stands for “track,” while 37 is a degree of disability. The lower the number, the greater the impairment. The purpose of the classification system is to create an equal playing field for the competitors. But either because of the challenge of classifying disabilities or purposely interpreting the criteria for a certain classification broadly, athletes can see inequities. Reporter: Volunteers classify athletes based on how their disability impacts their performance, not on the disability itself. They look at the medical paperwork and the doctor or the physiotherapist does tests. Then a technical classifier, a sports scientist or a coach, for example, will assess the athlete. They’re also watched in competition before their classification is confirmed. 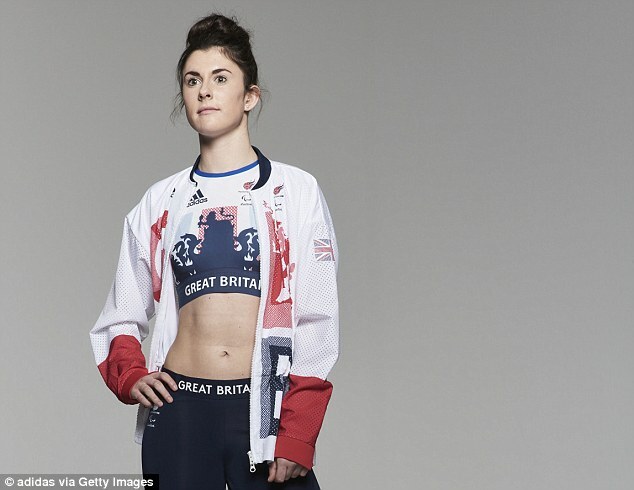 Bethany Woodward said after the 2012 Paralympics, the make-up of her class seemed to change. Woodward: In London there was no one in my classification I thought shouldn’t be there. But then suddenly classes were seemed to be opening up. I have hardly any dorsiflexion in it, or none. And within the criteria for cerebral palsy it said that you shouldn’t have any dorsiflexion . And then there was people coming who had dorsiflexion and I could see that when they were warming up. Reporter: In other words, they could bend their foot. Woodward: Yeah, they could bend their foot. So there were physical elements you could see that they were definitely a lot stronger in different areas than you. My cerebral palsy isn’t something that will fluctuate at all. And then you have people coming in who have a medical condition that really fluctuates. One day they could be absolutely fine and one day they are not OK. And we can’t ask for medical evidence because that is something deemed confidential. Olivia Breen is a long jumping champion who has cerebral palsy and learning difficulties, and who went to Rio and made it to the finals of the T-38 100-meter finals. According to her father, Michael Breen, one of Olivia’s competitors had relapsing MS, which he felt was unfair when compared to athletes with cerebral palsy like his daughter, because their condition could be in remission at the time of the race, or controlled by drugs. He also claimed that another finalist objected to being classified at all. What followed in the report was an insightful exchange that speak to the challenges of differentiating subtle differences in conditions. Reporter: I’ve read interviews with athletes whose impairments have been questioned before an d they say, frankly it’s insulting for people to say that about me. They don’t know my medical history so you don’t know for sure what is or isn’t affection that particular athlete’s performance. Michael Breen: That’s a really good point. I’m not going to try to justify every person who’s queried someone’s disability because it’s not possible. What I’m saying is, there is something fundamentally wrong with classification. It’s not fit for purpose and it’s broken. Posted in health, Paralympics, Track and FIeld and tagged 2012 London Paralympics, BBC, Bethany Woodward, IPC, Olivia Breen, Paralympic Sport - Fair Play?, returned a silver medal. Bookmark the permalink.